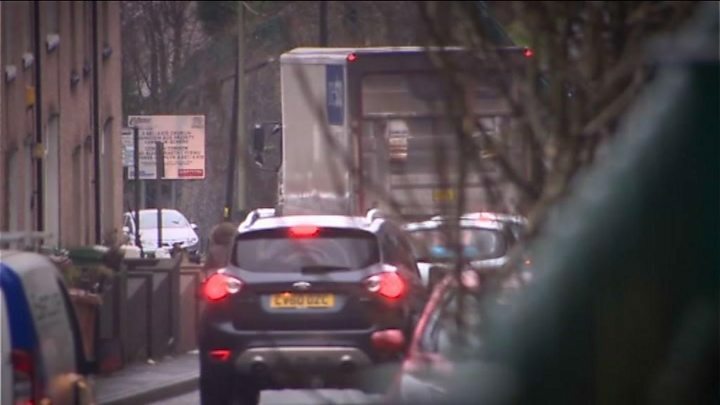 A campaign group has secured a court date over what it called a failure by the Welsh Government to produce concrete plans to tackle air pollution. ClientEarth's case will be heard at the High Court before 23 February 2018. The group said it concerned "illegal levels of nitrogen dioxide, which in towns and cities comes mostly from diesel vehicles". A spokeswoman said the Welsh Government "recognised more needs to be done to tackle air pollution". Wales is home to one of the most polluted roads in the UK. In 2015 and 2016, recorded levels of nitrogen dioxide on the A472 at Hafodyrynys in Caerphilly county borough were higher than anywhere else apart from central London, according to government figures. ClientEarth CEO James Thornton said: "People in Wales are choking on toxic fumes on a daily basis. "It is astonishing that so far the Welsh Government has failed to lift a finger to help them. "It's been more than two years since the UK Supreme Court made it clear that urgent action is needed but the Welsh Government seems to have hoped that it could ignore this problem and it would just go away." In response, the Welsh Government announced new measures it was introducing, including a new air quality assessment centre for Wales and a framework to ensure "consistent and effective implementation of clean air zones" by councils. "The measures we are taking underline our determination for Wales to be a leader in delivering innovative and effective solutions across government to tackle air pollution, achieving clean air for all," the spokeswoman said. There will be an air quality debate in the Senedd on Tuesday where AMs will discuss "the urgent need for action, including work across all parts of the Welsh Government, to tackle poor air quality affecting human health and the natural environment in Wales". Mr Thornton said: "The fact we are just seeing these proposals materialise shows how far Wales is behind the rest of the UK when it comes to dealing with the problem."